Already “like” you on FB….already “love” your site! Already LIKE Totally Target on Facebook. Please enter me in this contest. Thanks! I am hoping I win this one. Thanks! I love Totally Target and Target! TotallyTarget-all things Target. Thanks for the opportunity to win. So cute! Would love to win it! 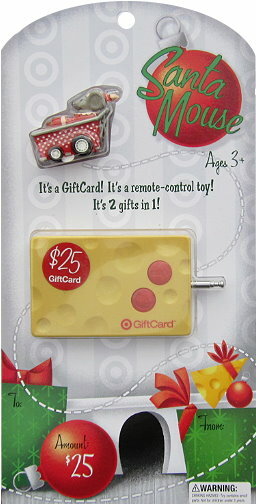 I would love to win this gift card!!!!!! I’m totally target on FB!!!!! Thanks again for all these great giveaways and even better saving tips. Happy Holidays! like you on facebook already!! Please enter me to win, Thanks. already “like” you on FB Thanks! too cute. Would love this. Thanks! i wanna win! please make my holiday! Thanks for the giveaway. It’s very generous of you. Merry Christmas! I “like” Totally Target on FB!!!! Thanks for all the giveaways!!! I just love these!!! Would love to win. Thanks Kerry. Love this site! Just found it yesterday and placed it on my favorites immediately!